How can you build loyalty program users with two-way messaging? Together with Euro Garages, EFR Group manages around 1500 petrol stations in the Benelux, France and the United Kingdom (UK). When oil companies decided to concentrate on oil instead of property management and retail, EFR filled the gap that emerged, creating quality retail from petrol station forecourts with the mission statement: Caring for the needs of people on the road. So EFR Group now manages petrol stations among its other activities and carries the logos for Texaco, BP and Esso. 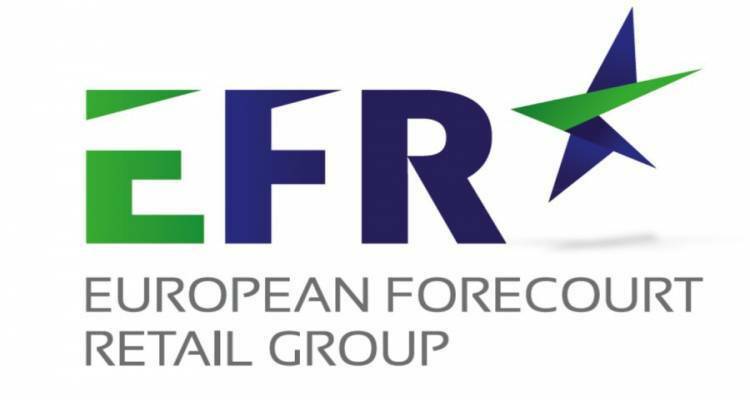 EFR, European Forecourt Retail, focuses exclusively on convenience stores with freshly baked products, transport cafes, car washes and car hire. For EFR Group, petrol stations are more than just a forecourt. For Texaco, it also manages the loyalty programme Texaco Stars. With Texaco Stars, the consumer receives points for every time they fill up at a petrol station, wash their car or buy something in the shop. These points can be exchanged for presents and discounts. Customers can exchange their points for a free gift even after just a few visits. Texaco Stars is the successor to Rocks. EFR Group announced at the end of 2015 that it would stop the Rocks savings programme and roll out Stars. The Texaco Stars app can be used as a digital savings card to save points and to exchange them directly, to check the balance and to view previous transactions. There is also a station finder, so that the route to a particular petrol station can be found. Furthermore, customers can be communicated with directly to draw their attention to special offers. Customers who download the app also receive fifty free points and a cup of coffee. Save points accumulate faster with Stars than with the Rocks programme. The customer now gets a point for every litre of normal petrol, while they only got two points for every five litres with Rocks. On the other hand, the customer received ten to fifteen points for a freshly made sandwich under the old programme Rocks, while that is now one point for one euro with Texaco Stars. The switch from Rocks to the completely new Stars programme did mean that Rocks savers had to switch as well. EFR Group therefore began a large-scale campaign on the forecourts. EFR Group appealed to Texaco savers in and around forecourts to register and former Rocks savers to switch to the Stars app savings programme. In order to allow existing as well as new customers to register as easily as possible, EFR Group called CM in to help. Because practically every smartphone owner knows how texting works, EFR Group decided to use CM's SMS short code 3669 so that savers could send a free text with the word 'Stars' to this number. This is called two-way messaging. New and existing users would then immediately receive a text message back with links to the Texaco Stars app in the Apple and Google app stores. EFR Group's large-scale campaign and the ease of switching thanks to the CM short code resulted in tens of thousands of participants registering for the new savings programme in a short period of time. "The SMS short code made it extremely easy for existing savers to switch", explained EFR Group's Online CRM Manager, Koen van Beurden. "There were a few hundred thousand very loyal Rocks savers in the Netherlands alone. It was very important that they all transferred to the new savings programme. It was logical to use CM's SMS short code: Everyone knows how SMS messaging works and it is a continuation of the increasing use of smartphones and apps." Although the registration campaign ended 18 months ago, the SMS short code method is still used every week to register for Texaco Stars. "We still see hundreds of people registering by means of the 3669 short code every week," explained Van Beurden. "Which is remarkable because we hardly advertise the short code anymore. The method is apparently so easy and accessible that people still use CM's short code to start saving with Texaco Stars."